They did it! 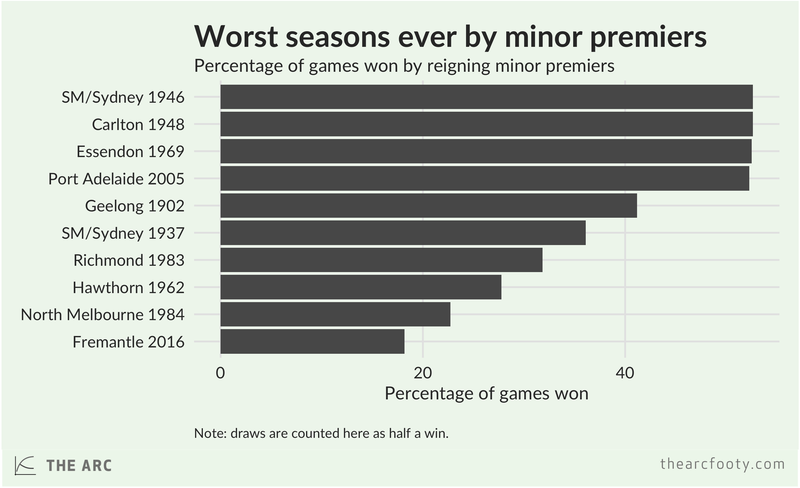 The Dockers set a new record for the worst season for a reigning minor premier in the entire history of AFL/VFL football. All season we’ve been watching the Dockers’ progress with great anticipation, wondering if they could claim their spot in history. It looked shaky in the middle of the year, when they won three in a row and briefly tied with the 83 Tigers. But no! Those wins were a a blip on Freo’s road to the history books. Even with that final win against the Bulldogs, they managed to beat the 1984 Kangaroos to bottom spot. 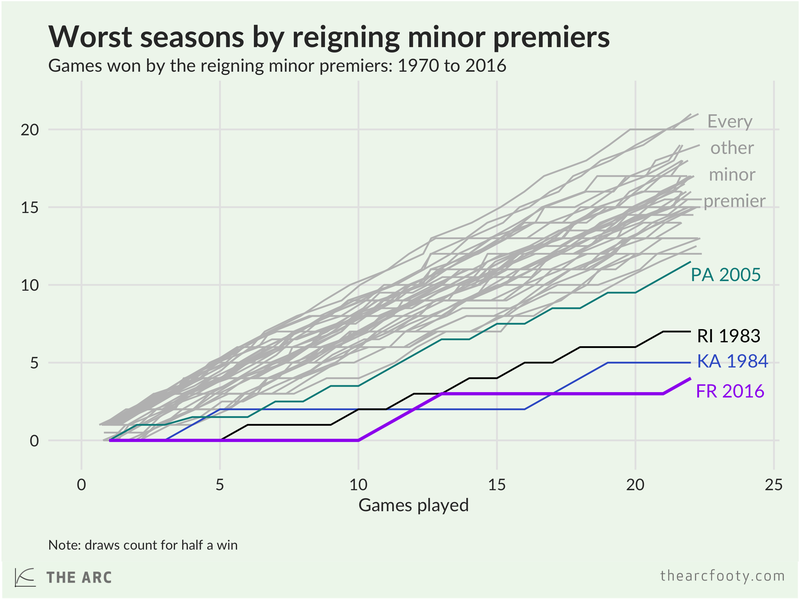 If we look at all teams in AFL/VFL history – not just reigning minor premiers – the Dockers’ 2016 decline isn’t the worst in history. Their last-round win against the depleted Dogs saved them from that distinction. 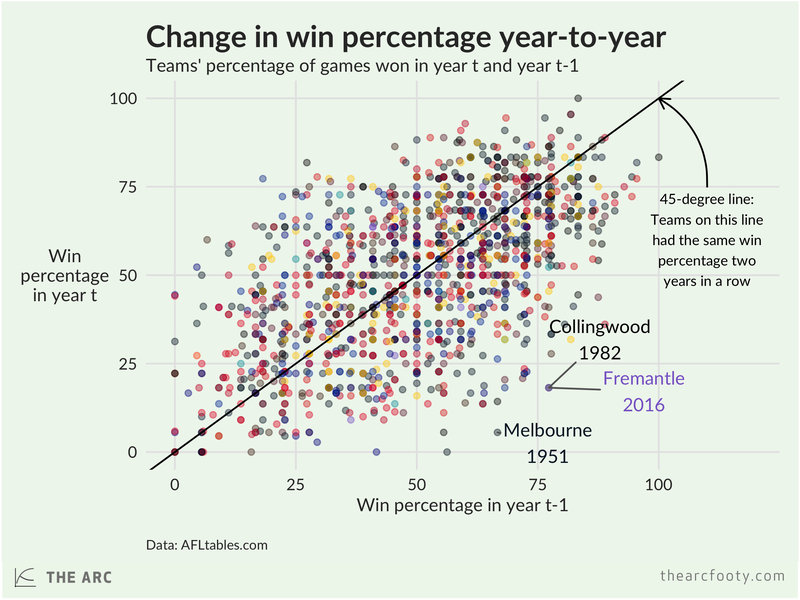 Freo won 77.2% of their games in 2015 and 18.2% this year, a decline of 59 percentage points. 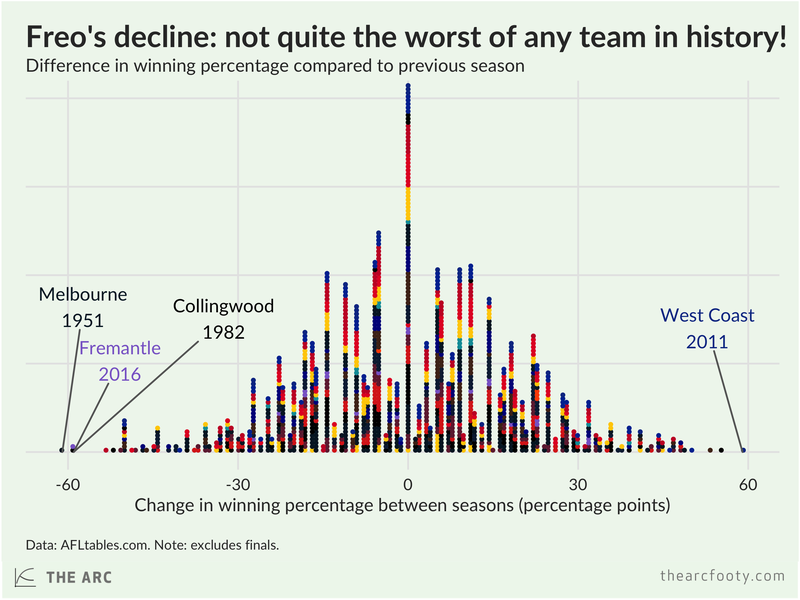 That’s the equal second worst season-on-season decline in league history, tied with the 82 Magpies and pipped by the 51 Demons.